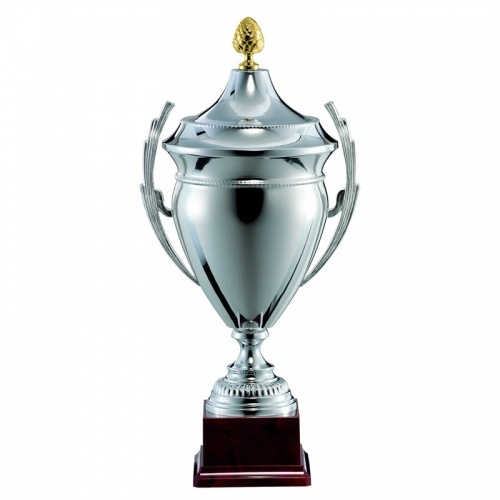 A continental style trophy cup in silver plated finish with gold plated finial on the lid. Features two ornate handles, beaded decorative bands and fluted decoration on the base. Available in five sizes up to 20.75in (53cm) tall, including lid and plinth. These modern trophies can be engraved on the body and/or a plaque attached to the plinth. Delayed Dispatch - Please note, these trophies are made to order. Typical fulfillment with UK delivery is 8 - 10 days.